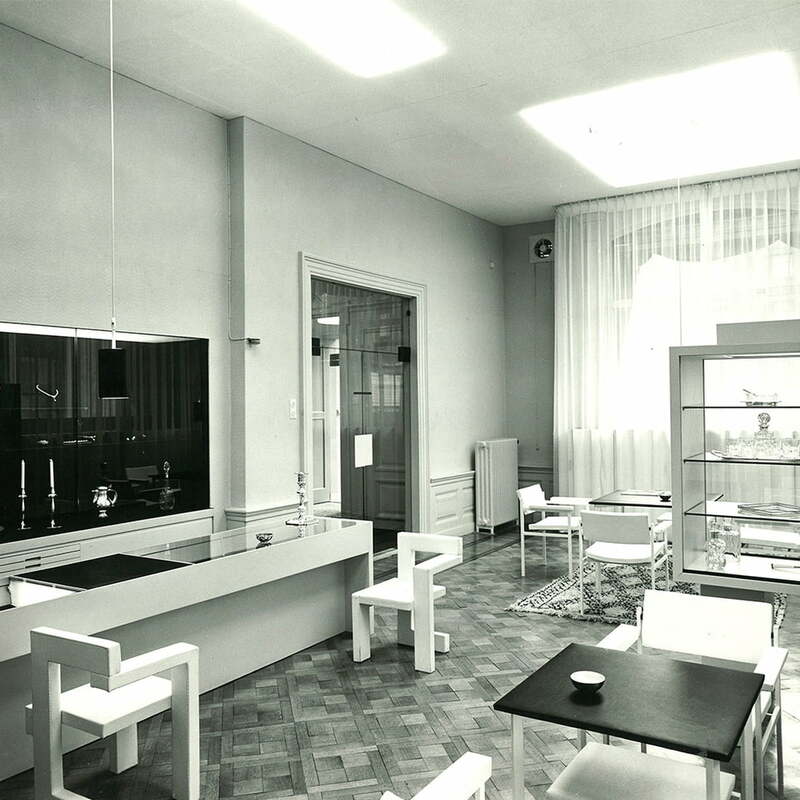 In 1963, Gerrit Thomas Rietveld was commissioned to re-decorate the shop of the jewelry dealer Johannes Steltman. Rietveld designed two chairs that are mirror images of each other, and together form a unit on which people sat to select their jewelry. The chair, made of solid oak, has the typical horizontal and vertical composition, that characterizes the designer's work. 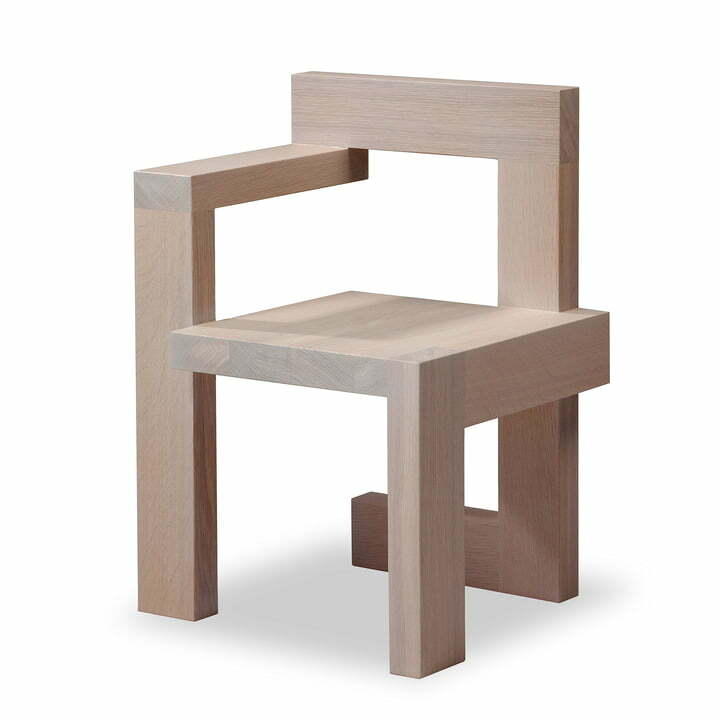 The re-edition of the asymmetric chair from 2005 is produced exactly according to the latest drawings by Rietveld. Each of the chairs is sold with the appropriate certificate and numbered plaque. 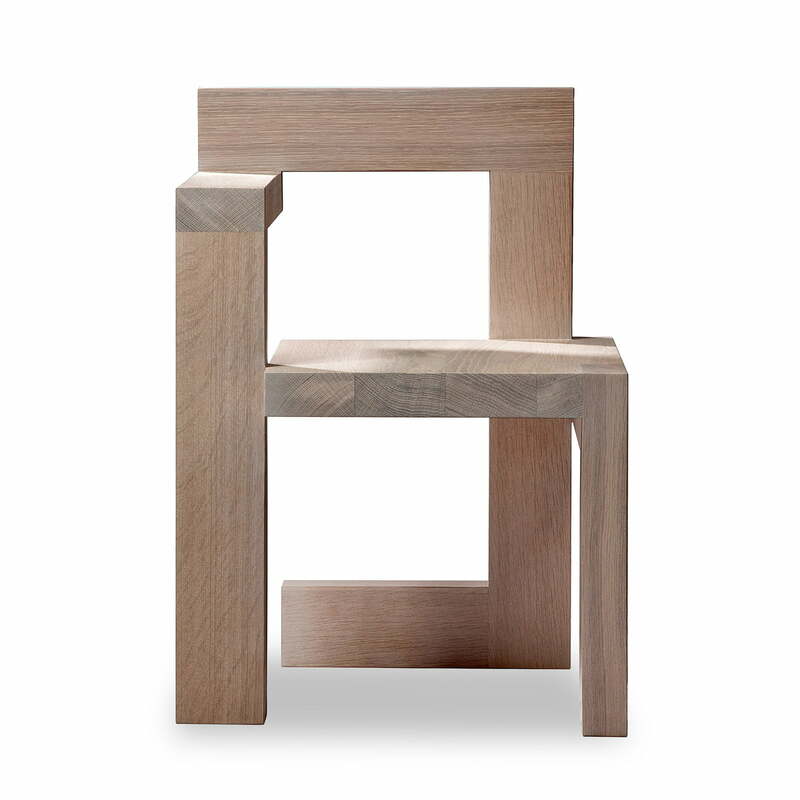 The Steltman chair is made of solid, cross-sawn oak and then varnished. The Chair is faithfully produced with left or right armrests. More colors are available on request. The Steltman Chair by Spectrum was designed in 1963 by Gerrit Rietvelt Steltman for the jewelry shop Steltman. The two asymmetrical chairs are each other's mirror image. Isolated product image of the Steltman Chair by Spectrum. The Chair is faithfully produced with left or right armrests. 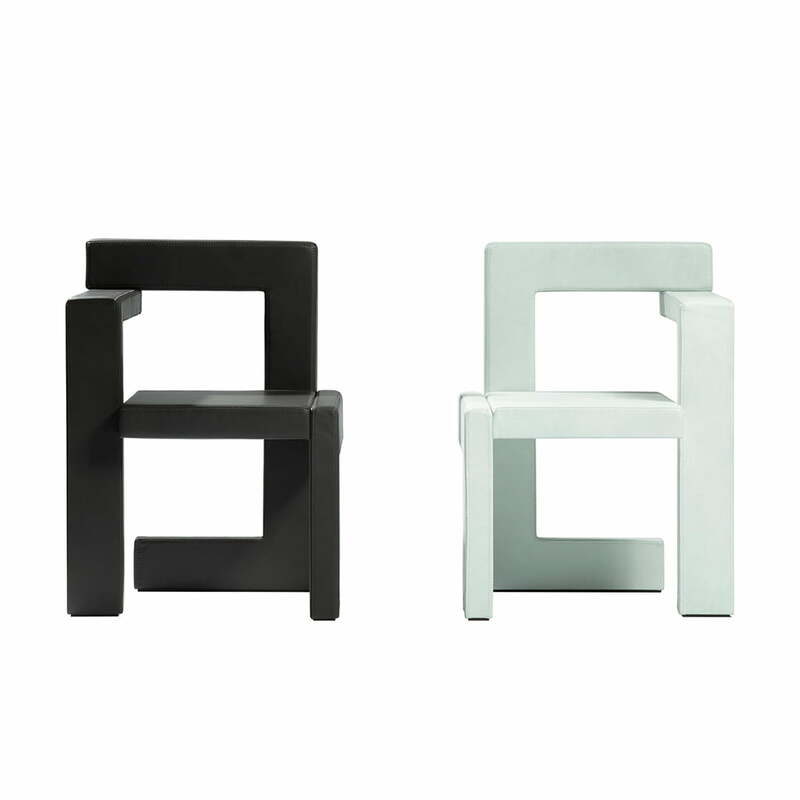 The re-edition of the asymmetric chair from 2005 is produced exactly according to the latest drawings by Rietveld. The Steltman Chair by Spectrum is an asymmetric Chair, manufactured with armrests, either on the right or on the left side. Together, they form a unit. In 1963, Gerrit Thomas Rietveld was commissioned to re-decorate the shop of the jewelry dealer Johannes Steltman. Rietveld designed two chairs that are a mirror image of each other, and together form a unit on which people sat to select their jewelry.